Sun., 20 Oct. - Mon., 4 Nov. Mon., 21 Oct. - Mon., 4 Nov. Sat., 19 Oct. - Mon., 4 Nov.
Wed., 11 Sep. - Wed., 16 Oct. Thu., 19 Sep. - Sat., 28 Sep. 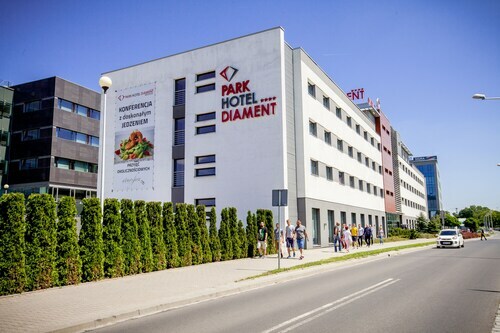 Situated near the airport, this hotel is 2.7 mi (4.4 km) from Wroclaw Technology Park and within 6 mi (10 km) of Wroclaw Town Hall and Wroclaw Market Square. Oporowska Stadium and Wroclaw Philharmonic are also within 6 mi (10 km). 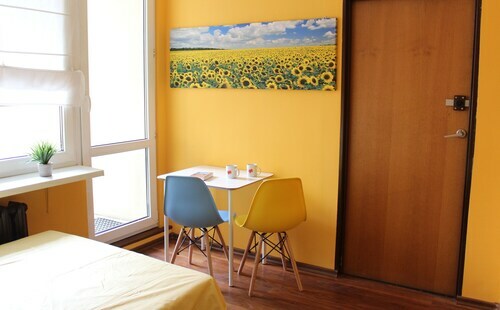 Situated in Wroclaw, this pension is within 6 mi (10 km) of MOSiR Stadium, Wrocław Municipal Stadium, and Municipal Stadium. Wroclaw Technology Park and Oporowska Stadium are also within 9 mi (15 km). 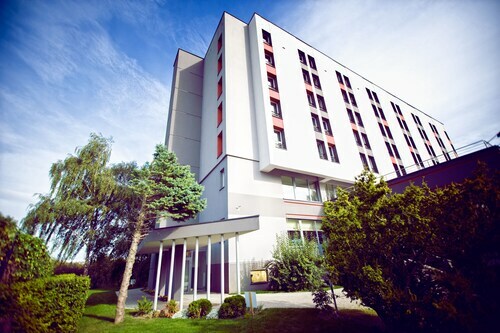 Situated near the airport, this hotel is 0.4 mi (0.7 km) from Wroclaw Technology Park and within 3 mi (5 km) of Wroclaw Market Square and Wroclaw Town Hall. Oporowska Stadium and MOSiR Stadium are also within 3 mi (5 km). Situated in Wroclaw, this apartment building is 2.1 mi (3.4 km) from Wrocław Municipal Stadium and 3.1 mi (5 km) from Rynek. Wroclaw Town Hall and Wroclaw Market Square are also within 6 mi (10 km). Situated in Wroclaw, this hotel is 0.5 mi (0.8 km) from Oporowska Stadium and within 3 mi (5 km) of Wroclaw Market Square and Wroclaw Town Hall. Wroclaw Technology Park and Wroclaw Philharmonic are also within 2 mi (3 km). 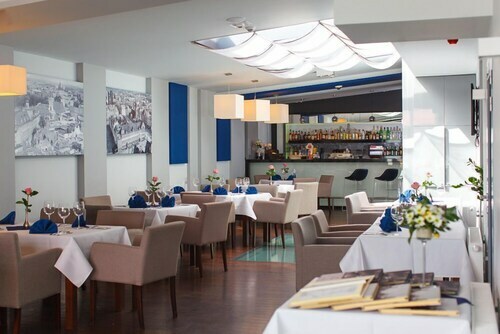 Situated near the airport, this hotel is 0.7 mi (1.1 km) from Millennium Bridge and within 3 mi (5 km) of Wroclaw Market Square and Wroclaw Town Hall. MOSiR Stadium and Wroclaw Technology Park are also within 3 mi (5 km). Located in the heart of Wroclaw, this hotel is within 2 mi (3 km) of Oporowska Stadium, Wroclaw Market Square, and Wroclaw Town Hall. Wroclaw Philharmonic and Polish Theatre in Wroclaw are also within 2 mi (3 km). Located in the heart of Wroclaw, this historic property is within 3 mi (5 km) of Oporowska Stadium, Wroclaw Town Hall, and Wroclaw Market Square. Park Klecinski and Wroclaw Race Course are also within 3 mi (5 km). Answer : The cheapest day to fly from Montreal to Wroclaw is on Wednesday. So, if you would like to save a bit of money on your next business trip look for flights on that day. Question : What is the cheapest airline flying from Montreal to Wroclaw? Answer : Delta Air Lines strives to keep prices low for their passengers over the next three months. Bookings are being made at just $1,148, which is a bargain when compared to the high-end bookings of $1,500. Answer : Yes, you can change your departure or arrival date. If you wish to save a little money in doing so, the lowest-cost day to fly in April is Wednesday. Having flexibility in your travel plans means you can save more, so be sure to plan ahead when possible. Question : How much is a plane ticket to Wroclaw (WRO) from Montreal (YUL)? Answer : They range from $1,148 to $1,500. Booking in advance can normally help you get the cheapest ticket. However, usually the sooner you book, the better price you get. Question : How much time do people spend in Wroclaw? Answer : The average time spent hanging out in Wroclaw by passengers from Montreal is 51 days. Question : What is the cheapest date to fly to Wroclaw? Answer : Tickets are presently $1,153, 12% less than the average price for this route. As of Apr 15th, the cheapest day to fly from Montreal to Wroclaw is May 1st.